I am waiting your opinions about topic. What is the differences between HACCP and HARPC ? They are both food safety standards based on prevention, but they do differ on execution. 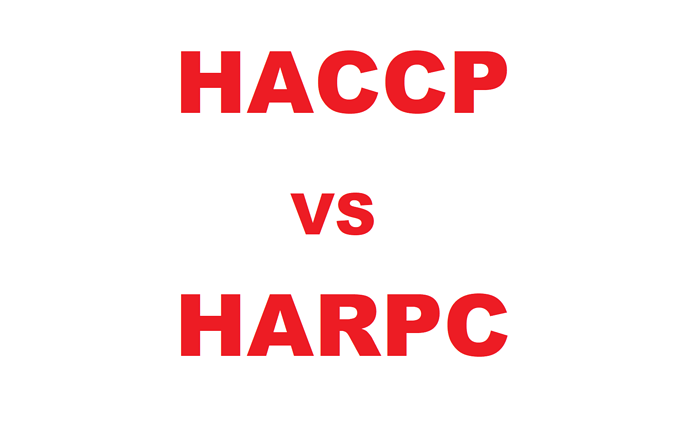 The three conventional types of hazards that are addressed in the HACCP plans physical, chemical and biological are accompanied by many more concerns in HARPC plans. Radiation, natural toxions, pesticides, drug residuce, decomposition, parasites, allergens, unapproved food or color activities, naturally accuring hazards and intentionally and unintentionaly introduced hazards round out the list of HARPC related hazards.